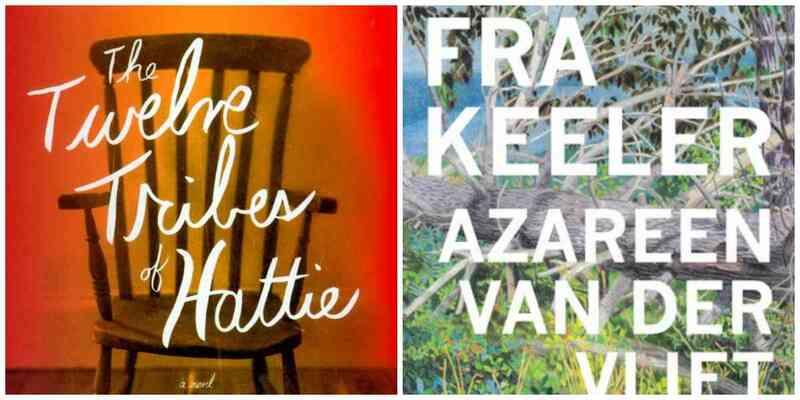 Ayana Mathis - "The Twelve Tribes of Hattie" & Azareen Van der Vliet Oloomi - "Fra Keeler"
Ayana Mathis discusses The Twelve Tribes of Hattie: A Novel. Azareen Van Der Vliet Oloomi discusses Fra Keeler. About The Twelve Tribes of Hattie: A Novel - In 1923, fifteen-year-old Hattie Shepherd, swept up by the tides of the Great Migration, flees Georgia and heads north. Full of hope, she settles in Philadelphia to build a better life. Instead she marries a man who will bring her nothing but disappointment, and watches helplessly as her firstborn twins are lost to an illness that a few pennies could have prevented. Hattie gives birth to nine more children, whom she raises with grit, mettle, and not an ounce of the tenderness they crave. She vows to prepare them to meet a world that will not be kind. Their lives, captured here in twelve luminous threads, tell the story of a mother’s monumental courage—and a nation's tumultuous journey. About Ayana Mathis - Ayana Mathis is a graduate of the Iowa Writers' Workshop and a recipient of the 2014-15 New York Public Library's Cullman Center Fellowship. The Twelve Tribes of Hattie, her first novel, was a New York Times Bestseller, a 2013 New York Times Notable Book of the Year , an NPR Best Books of 2013 and was chosen by Oprah Winfrey as the second selection for Oprah's Book Club 2.0. Ayana taught Creative Writing at The Writer's Foundry MFA Program at St. Joseph's College, Brooklyn. She is an Assistant Professor of English and Creative Writing at the Iowa Writers' Workshop. About Fra Keeler - A man purchases a house, the house of Fra Keeler, moves in, and begins investigating the circumstances of the latter's death. Yet the investigation quickly turns inward, and the reality it seeks to unravel seems only to grow more strange, as the narrator pursues not leads but lines of thought, most often to hideous conclusions. About Azareen Van Der Vliet Oloomi - Azareen Van der Vliet Oloomi is the author of Fra Keeler and Call Me Zebra (forthcoming from Houghton Mifflin Harcourt in February 2018). She is the winner of a 2015 Whiting Writers' Award, a National Book Foundation "5 Under 35" honoree, the recipient of a MacDowell Fellowship, a Fulbright Fellowship in Fiction to Catalonia, Spain, and a Fellowship from the Institució de les Lletres Catalanes in Barcelona. Her work has appeared in The Paris Review, Guernica, BOMB, and the Los Angeles Review of Books Quarterly Journal, among other places. She has lived in Iran, Spain, Italy, the United Arab Emirates, and currently teaches in the M.F.A. Program in Creative Writing at the University of Notre Dame.